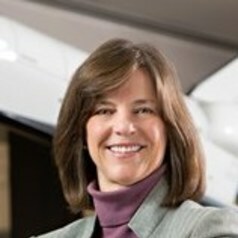 She is a Fellow of the American Ceramic Society, the American Institute of Aeronautics and Astronautics, and the Royal Aeronautical Society. She has been awarded the NASA Space Flight Medal five times, the NASA Exceptional Leadership Medal and the NASA Distinguished Service Medal. Dunbar was inducted into the Royal Society of Edinburgh, and in 2002 was elected to the US National Academy of Engineering. In 2013 she was selected into the Astronaut Hall of Fame and in 2017 Dr. Dunbar was elected as the President of the Association of Space Explorers.